We are dedicated to helping people from around the world experience the peace, wonder and global significance of redwood forests. We teach new generations about redwood forests, why they matter and what needs to be done to protect them. The more people we introduce to these magical places, the healthier our communities will be, and the more likely these visitors will protect our forests forever. Redwoods and Climate Change High School Program. See how we help connect people of all ages to these majestic forests through this website, the many programs we sponsor and our outreach efforts. The future of California State Parks is a League priority because redwoods live in these sanctuaries created with gifts from our members. 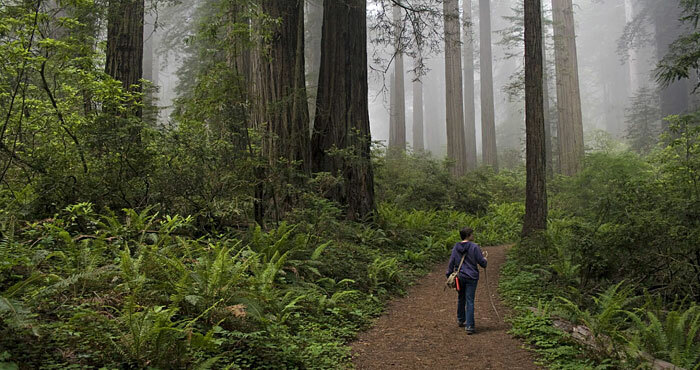 Learn about our work to support redwood parks. Our Explore Redwoods program includes offline and online tools to give people more ways to interact with the redwood forest, no matter where they live. Learn how we bring people together to protect forests and how you can help.